Introductory sentence and diagram from Pauling and Wheland's paper on resonance in benzene and naphthalene, June 1933. As with the structure of carbon monoxide, the principle of resonance also explains what was once a chemical enigma – the true molecular structure of benzene. Benzene, a double-bond conjugated six member hydrocarbon ring, can be represented by two structures that are equivalent in energy. A simple model representing oscillation between the two primary structures is, however, insufficient as it does not explain one of the principle chemical properties of the molecule – its inability to saturate. It is sometimes found…that a choice cannot be made between two or more structures which are about equally stable, and of which no one accounts in a completely satisfactory way for the properties of the substance. The concept of quantum-mechanical resonance has provided the solution to this problem: namely, the actual normal state of such a molecule does not correspond to any one of the alternative reasonable structures, but rather to a combination of them, their individual contributions being determined by their nature and stability….Just as it is customary to speak of the electrons in an atom in its normal state as moving around the nucleus in roughly the way described by the old quantum theory…so is it customary, and for some purposes useful, to speak of the resonance of a molecule in its normal state between two or more structures. 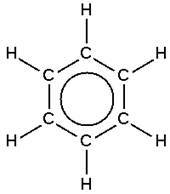 Based on this theory, the benzene molecule is now often depicted as a hexagon with a circle in the middle representing the true resonating nature of the molecule. This structure has since been verified by multiple experimental techniques such as electron diffraction, x-ray diffraction, and molecular spectroscopy. Having recognized resonance as an important missing link in understanding molecular bond structure, Pauling applied his theory to a large collection of empirical results. (For one, he identified electronic resonance as the principle that allows for the formation of four equivalent bonds to be formed by carbon.) His analysis consistently explained gaps in the classical models of bond theory and aligned with the quantitative data available. Pauling’s theory of resonance has since contributed fundamentally to the scientific understanding of molecular shape and stability, and has permitted insight into the true nature of the chemical bond. This has been so helpful. I am doing a Chemistry report on Pauling and I found this blog through the Oregon State University (Linus Pauling page). Thanks very much. Thank you for your comment – we’re glad to know that the blog has been helpful to you. Pauling’s work on resonance was very important. Whether or not it was one of his most important discoveries is a matter of some debate, but it is safe to say that the theory was a major contribution to theoretical chemistry in the 20th century. 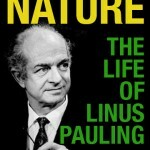 Concerning Pauling’s impact on our understanding of the nature of matter, we would suggest that you look at the website Linus Pauling and the Nature of the Chemical Bond: A Documentary History. The site will give you a sense of Pauling’s larger contributions to the study of structural chemistry, which were immense.